We made it; some days that's about all you can say. My 14 month old cried almost non-stop from 7:20 until 11:45 when he finally passed out from exhaustion. No fever, no other symptoms, Tylenol and Advil did not help, nor did crushed ice, a baby video, a walk outside, reading books or anything else. And the banshee-type wailing continued...for four hours! I hope that's not a harbinger of things to come. To his credit, Beckett has been my happiest baby by far. He is sweet and giggly most of the time, but unfortunately not today. I even took a picture to prove I am not making this up. Hopefully, tomorrow will be better for him and consequently for the rest of us, too! As for actual school, it went well. In hindsight I probably set my expectations a little too high. Thatcher is still my wiggly little boy; he still would, more often than not, rather have me do it for him than really work at it; he still gets distracted by every tiny little thing. And that's okay...and that's okay...and that's okay. I have to keep reminding myself of this. The green eggs and ham breakfast was a hit. Haddon, who rarely eats eggs, gobbled his right up. Green is his favorite color. Thatcher, who would eat eggs everyday if I let him, was a little freaked out by the eggs but thought the green ham was the coolest thing ever! Both boys loved their Schultuetes. I remember how inspiring all those brand-new crayons and unsharpened pencils used to be when I was young, and it was fun to see that same excitement in my own children. The Crayola window markers were an especially huge hit. They kept my very active two year old occupied for almost 30 minutes while we did school and his big brother occupied for almost an hour when school was done. I am more excited than ever to get this school year rolling and at the same time more anxious than ever. How in the world am I going to do all this with a one year old, a two year old and an ADHD six year old? The big day is almost here - not the biggest day - but a big day nonetheless. First grade begins tomorrow! My intention was to keep up review all summer but since that didn't happen, we are starting slowly. Hopefully this will more easily get us back in the swing of things. The biggest day will happen in a few weeks when we phase all subjects in and are rolling at full-speed. Really, this is as much for me as for Thatcher. I have been a night-owl all summer (for the first time in my life) and it's going to take awhile for me to adjust back to my early-bird schedule - in bed at 9:00 and up at 5:00. Read Buzby the Misbehaving Bee by Max Lucado and discuss why it's important to have rules: Rules keep us safe and make sure everyone is having fun. Introduce our family rules. Read them, talk about each one and look up scripture references in the Bible. Start memorizing rules. Goal for this week is for him to recite all 10 rules from memory by Friday. This should be greatly helped by the mnemonic - GOLDEN RULE. Review rules as we start school each day this week. Watch the Buzby DVD a few times throughout the week as a reward! Introduce skip counting by 9's. Goal for this week is to be able to skip count by 9's to 99. Addition flash cards each day. Subtraction flash cards each day. Review days of the week, months of the year and seasons, too. 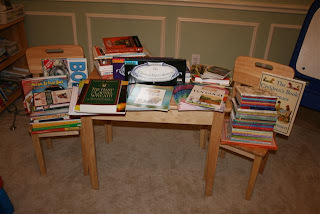 I pulled 20 books from our home library for Thatcher to read aloud to me - a few a day. I chose books well below his reading level for two reasons: first, although he has been reading all summer, we have not had read aloud time since the end of May. I want him to experience success in these first weeks so he will be confident when we ease back into books on his level. Second, this is not one of his favorite things to do. He gets frustrated because he can read silently so much faster. As a result, he tries to fly (aka. mumble) through his oral reading. We are going to slow down and really work on these skills. I am trying to teach him that reading aloud is something completely different from silent reading because you need to be mindful of an audience. To him, it's just painful to slow down! It's not a "can't" but rather a "choose not to." Start reading Wisdom and the Millers. It's not a bible study in the truest sense of the word but it will be perfect to go along with our focus on family rules this week. We will look up the scripture reference from the book of Proverbs each day as well. 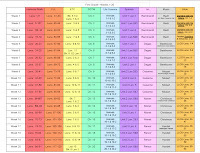 Finish memorizing books of the Old Testament. This has been a project he has undertaken this summer; he only has the last seven books to go until he is done. Begin The Silver Chair by CS Lewis at bedtime tonight. Coloring - Thatcher dislikes coloring...with a passion. He still scribbles (I am not exaggerating!) and uses only one color per page. It's a combination of his ADHD - not willing to take his time - mixed with the fact he has delayed motor skills. It's not easy for him, so he just doesn't want to try. While I don't expect him to create a masterpiece, I do want him to learn this skill - color one direction and in the lines. We will color a simple picture printed off the internet each day. I have a collection and he will be able to choose whichever he wishes. Tying his shoes: sad to say that I have never taken the time to teach him this skill. He rarely wears tennis shoes (revisit the ADHD thing yet again - it's fast to slip on flip flops so why would anyone want to wear anything else!) and the few times I have made a feeble attempt, it didn't go over well. He is now six and it is time! I don't want him to be at his soccer game asking his coach to tie his shoes when he is 10. Start the day by reading Green Eggs and Ham by Dr. Seuss and then actually eating a breakfast inspired by the book! Give the boys their Schultuete filled with school supplies and goodies right as we begin school. Both of the above are ideas moms shared on the WTM message boards. My plan is to make these first day traditions from here on out! These are the boys cones for tomorrow! They are filled with all their school supplies, a tiny bit of candy and new underwear (Transformers and Cars! ), which they needed anyway! At the end of our first day I will surprise him with IG-88, a Star War's droid he has wanted forever. I refused to pay $12 for it in the past, but I found it on clearance yesterday. He will be thrilled! Tomorrow night we'll go out for ice cream at any place of his choice. I will be pulling for Marble Slab but he will most likely want McDonald's. Lol! This one serves a double-duty as dh leaves Tuesday morning for Canada - a week of camping and shenanigans with his college buddies! It will be a fun memory before Daddy leaves because we don't go out for ice cream very often. Ok, I am off to bed. This is why I love blogging - it gives me a place to "think out-loud!" I have been working on this for a week and a half and like many projects, it took longer than expected. Here are our history plans for SOTW1 aligned with History Scribe: Ancient Egypt (AE), Ancient China (AC) and Ancient Greece and Rome (AG&R). I also created copywork for Chapters 11-42. Jessica from Trivium Academy shared her copywork for Chapters 1-10 and was kind enough to allow me to post them here. 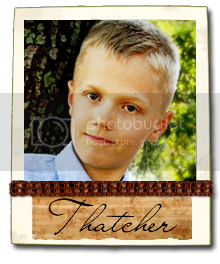 I am not sure how much copywork Thatcher will be ready for this year, but I wanted to have it ready just in case. Also, I may need to shorten/simplify the sentences if he is getting frustrated. If the History Scribe page already gave the most important details of the passage, I usually tried to make the copywork for that selection include some other interesting fact or tidbit. If there was no HS page to align with that lesson, I tried to make the copywork be more of a "main idea." You could probably get more HS pages to align with SOTW1 from their World Religions and Christianity packs but I was content to start here. If anyone finds more pages to align from one of these other packs, please share! Feel free to use these as a starting point but modify them to fit your needs! I will probably be changing them up as I go as well. :) This was my first time to do my own copywork so I was about halfway in before I got the hang of it. Lol! * Copywork - Nomad means, "a person who wanders or roams around." * Copywork - Ancient Egyptians lived near the Nile as it provided water and excellent soil for growing food. * Copywork - The word Mesopotamia means "between two rivers." Papyrus was ancient Egypt's greatest export and revolutionized the way people kept valuable information. * Copywork - The Great Pyramid in Giza is the oldest and largest of the three pyramids and is the only remaining member of the Seven Wonders of the World. * Copywork - The cities in Sumer fought each other until Sargon conquered them and joined them into an empire. * Copywork - The twelve tribes of Israel were identified by the names of the twelve sons of Jacob, whom God renamed Israel: Joseph, Judah, Issachar, Benjamin, Levi, Naphtali, Gad, Asher, Simeon, Dan, Zebulun, Reuben. * Copywork - The Babylonians were the first to divide a day into twenty-four hours and to divide an hour into sixty minutes. *Copywork - You will never find that life for which you are looking. . When the gods created man they allotted to him death, but life they retained in their own keeping. 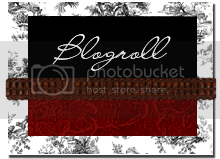 - The Epic of Gilgamesh. * Copywork - The people of the Indus Civilization achieved great accuracy in measuring length, mass and time. * Copywork - Huang Di united the villages of the Yellow River Valley. * Copywork -Life in the Sahara Desert is both difficult and dangerous, but long ago this part of Africa wasn't even a desert. * Copywork - Egypt had become weak, but when Amenemhet became Pharaoh he made it strong again. * Copywork - They Egyptians were polytheists which means they worshiped many gods. * Copywork - Moses and the Israelites were monotheists. They believed in and worshiped only one God. * Copywork - The Phoenicians were the greatest sailors in the Ancient world; they were also famous for their blown glass and purple dye. * Copywork - Ashurbanipal is remembered as the king who collected books to create the first library. His library was in Nineveh. Ch. 17 - Babylon Takes Over Again! * Copywork - Nebuchadnezzar built the Hanging Gardens of Babylon, one of the Seven Wonders of the World. * Copywork - The Minoans settled on the island of Crete in the Mediterranean Sea. * Copywork - The Mycenaean Greeks had weapons made of bronze; they were defeated by the Dorians who built stronger weapons of iron. * Copywork - Homer's poem, the Odyssey, tells of the adventures of Odysseus as he tries to return home after the Trojan War. * Copywork - Cyrus was King of the Medes and the Persians, and he was known as a good and fair ruler. * Copywork - Plato was a famous philosopher from Athens. * Copywork - Zeus was the chief god of the Greeks. * Copywork - Athens and Sparta joined together to defeat Persia. * Copywork - Pharos, the largest lighthouse in the world, was built in Alexandria and is the third of the Seven Wonders. * Copywork - There are three Americas: North, Central and South. The Nazca tribe lived in South America in modern-day Peru. * Copywork - Rome grew to be the largest and strongest empire the world had ever seen. * Copywork - Zeus was king of the Greek gods; the Romans called him Jupiter. The Greek god of the sea was Poseidon, but the Romans called him Neptune. * Copywork - After fighting for over 100 years, Rome finally defeated Carthage and their great leader, Hanibal. * Copywork - An Indian prince, Siddhartha, created a new religion called Buddhism after seeing the misery created by Hinduism's caste system. * Copywork -King Aoska followed Budah's teachings and built his empire through honesty, truthfulness and mercy rather than violence. * Copywork - The Chinese were the first ancient people to use printing to produce books. * Copywork - After returning from Spain, Caesar became one of Rome's consuls thus forming a triumvirate (three leaders). * Copywork - Caesar had become the most powerful man in all of Rome, but he was killed by Senators who though he had become too strong. * Copywork - Caesar's nephew, Octavion, was renamed Augustus Caesar and ruled for 30 years after his uncle's death. * Copywork - When Christians revolted against Roman authority the emperor sent soldiers to destroy the Temple and all of the city of Jerusalem. * Copywork - Constantine became a Christian and moved the capital of the Roman empire from Rome to Constantinople. * Copywork - Even after Diocletian divided the Roman Empire into two parts, the armies couldn't fight off the invaders that continued to attack its borders. * Copywork - Attila the Hun was called, "The Scourge of God" by the Romans. * Copywork - Earth is the only planet in our solar system whose name is not derived from Roman mythology. I think I have read the first 228 pages of The Well-Trained Mind (the section focusing on the Grammar years) 15 times now, and lately Chapter 10 "Electronic Teachers: Using Computers and Videos" keeps drawing me back. The premise of the chapter is that the grammar years are a crucial time of brain development, especially in verbal areas; the connections and pathways made in these early years will be used for the remainder of a child's life. Reading and writing depend on the left-hemisphere while TV and similar technology depend more on the right-hemisphere. We want to engage our children in activities that will develop the ability to think great thoughts as they grow older and since TV, videos and software promote passive learning, these forms of entertainment should be greatly limited in the younger years. Watching a video is mentally passive. exposure to the easier way until the harder way has been mastered. 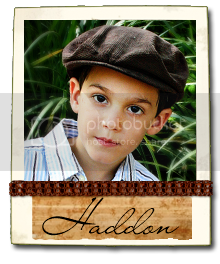 If you are new to my blog, my oldest son Thatcher is ADHD...very ADHD. His love affair with tv began as a toddler watching Baby Einstein videos and continued until recently when we cut all tv out of his day for one month. While watching TV he is calm and completely enraptured, but the moment the TV (or computer, Leapster, etc.) is turned off we just about have to peel him off the ceiling. The sustained visual stimulation is just too much for his brain to synthesize. We have added the tiniest bit of TV/technology back into his day but it is severely limited. Honestly, we would have done this even without the issues of ADHD. My boys were just too addicted to TV ; they would sit on the couch all day if allowed. Now they are out playing on the swingset, building towers and roads with their blocks, arranging battles with their action figures and interacting with each other (although too often not in the kind, helpful way I desire - but that's another post!). It was so hard those first few weeks but I would do it again for the benefits gained. Well, to the true point of my post: what does all this mean for our family and schooling future? I think for me it is simply that we will only use TV /video/computers when absolutely necessary -when they provide something we can't get any other way. We have a subscription to United Streaming for next year and will use the elementary Spanish video series. I have a minor in Spanish so I could definitely teach it myself. However, I also have a one and a two year old to care for during the day while schooling Thatcher. He works veeerrryyyy slowly so I needed to give up teaching something in order for my little ones to have any "Mommy-time". In this case, technology will allow me much needed time with Haddon and Beckett. We will also be using the science and history videos on United Streaming. I agree with Susan Wise-Bauer when she says that some things like "lava flowing down the side of a mountain have to be seen to be believed." These videos will take Thatcher places he could never travel himself (ancient Rome, inside the human body, to the depths of the oceans, floating up the Nile River, et al) or at least not this year! Lastly we will use some of the Art Tango videos, also on United Streaming. The use of technology here will definitely fit my criteria because I cannot draw stick figures (truly) so these videos will provide something I cannot - a qualified art teacher! We will also be using Drawing with Children by Mona Brookes, and I will learning right along side him. I desire to be extremely intentional about not letting technology be a major part of our school or our lives in general (except for watching the Houston Astros) but in some cases it is well worth it! Have you discovered lapbooks? I heard them mentioned on websites and homeschool message boards but had no clue what they were until just a few days ago. Wow! These are little golden nuggets. I am definitely going to find as many ways as possible to integrate these into our school next year. For classical homeschoolers, they are an alternative to notebooking for younger students. I think they will be a breath of fresh air now and again to keep things from getting stale; my little guy loves to change things up! A lapbook is "an educational learning tool made from a folder and meant to take the place of worksheets." (from Literature Amidst Roses). 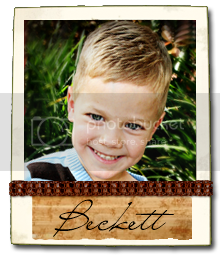 You can buy pre-made kits from many sellers and simply cut and paste them together. I personally like the more "organic" feel of those that are homemade. Basically, start by taking a file folder and fold the outside flaps into a "shutter fold" creating a booklet that opens up. On the inside creatively display all the information learned about a particular subject using mini-books, flaps, photos and any other means you can contrive. These little books are fun, and the idea is that they are so engaging children will want to go back to them time and again - thus reviewing the information over and over! How often do children pull out workbook pages to proudly show grandparents and neighbors? How often will they want to pull out a booklet they researched, cut, colored and glued? That's the idea! First, a wonderful YouTube video of a homeschool mom displaying her children's lapbooks. Next, you can check out Tobin's lab - the group trademarking the term "lap book" - for some great how-to books and CD's. I've been told that Tammy's DVD is wonderful. Literature Amidst Roses has some great information about exactly what lap books are and the difference between lapbooking and notebooking. One note: many of their links listed in the left-hand column are not current. Knowledge Quest is another source of great information. Creative Publishing has wonderful information including directions and print-outs for making lapbooks as well as mini-books to fill them up. Dinah Zike's Big Book of Books is described as a must-have almost everywhere you see lap books mentioned. Our library system does not have this title so I think I may need to buy this one! In the Hands of a Child has lots of pre-made lapbook kits you can purchase if you are in a hurry or, like me, new to the whole lapbooking world. This website is a great resource to see tons of examples as well. 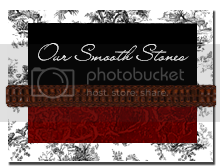 If you click on any of their kits it will show a photo of the finished product, and you can even download a sample on most. This website gave me tons of ideas to help get the creative juices flowing. Knowledge Box Central is another site to buy ready to assemble lapbooks. This company has even created specific lapbooks to go along with TOG. Live and Learn Press is yet another place for pre-made lapbooks including lapbooks to go along with Apologia Science. This company calls lapbooks "Learn 'N Folders". I am looking forward to posting a picture of our first lapbook in the weeks to come! Well, sort of; it's as close as you can get for a homeschool mom, anyway. I waited expectantly for the Fed-Ex and US Mail truck as if it was December 24th and I was six years old again. It was so fun, and I was not disappointed! All of my curriculum choices have been made for next year, books ordered and delivered. Now it's time to get busy! I want to plan each subject out in the next three weeks so we can start on August 6th. Many moms I know are in the, "Do what comes next" vein and don't need (or desire) to schedule everything out. Honestly, that's been me for the past two years as we worked through our last year of preschool and then kindergarten - each year with a new baby in my arms. But that's not how I operate most effectively. For me it's imperative to know not only where I am but where I am going, therefore I need a detailed plan for the 40 weeks we will be schooling next year. Math: This was my easiest choice. Thatcher loves Horizons and says math is his favorite subject. I can't keep him away from next year's book; he sits and looks through it as if it were a toy catalog! We'll be working through the second grade book because we started with the K book in pre-K. My only change for this year is that I have torn all the workbook pages out, three hole punched them and put them in a binder. I will give him only one page at a time to reduce his temptation to get off-task by looking to what's ahead. Also, I am taking the Teachers' Manuals to Office Depot to cut off the binding and three-hole punch the entire book. That way it will be easier to make copies of all the student worksheets. We will do five lessons a week to complete the book in 36 weeks. That means one day a week we will do two lessons since we school four days a week. Language: Another easy one - finish First Language Lessons. We will start at lesson 40 and complete the book this year. We will do language four days a week to complete the book in 40 weeks. I love the repetitive nature of this book as well as the poetry memorization. It is a perfect fit for us. Phonics/Spelling: Finish Explode the Code 5 1/2, 6 1/2, 7 and 8 and then move on to Spelling Workout. We do two lessons a week so it should take us 26 weeks (52 total lessons in the four books) to complete ETC. I will evaluate where to start in Spelling Workout when we get to that point. Handwriting: I decided not to purchase a program but create my own. I loved the idea of A Reason for Handwriting but I don't want to introduce any more scripture to his plate. He already memorizes lots of verses at AWANA's each week; I would rather expose him to a little less he can retain rather than so much he can't grasp any of it. After reviewing letter formation of all 26 letters and numbers we will use his weekly AWANA verse for handwriting practice. We will use handwriting paper from Donna Young's Homeschool Printables website. Read-A-Louds: One of my main goals for this year is character development for my sweet but oh-so-impulsive and socially immature son. I researched great books to read to him which will give us avenues to talk about virtue and provide role models who exemplify the traits we want him to emulate in his own life. I also purchased many books that would teach him about animals - a subject we'll be studying in Life Science and one in which he has expressed great interest. Most of these books I bought because they are not readily available at our local library or I would be using them regularly enough to justify their purchase. In addition we will finish the last three books in the Chronicles of Narnia series, read Stuart Little by EB White, Just So Stories by Rudyard Kipling and Wind in the Willows by Kenneth Grahame. These are just our bedtime read-a-louds. We will also be doing lots of history read-a-louds as well. Reading: I will be getting the majority of our readers from the library this year. We'll have a "Reading Basket" I will fill every three weeks. I will also pre-read all books and have simple oral comprehension questions to go along with each. Thatcher will choose one or two books a day - depending on difficulty - to read silently to himself. Then we will go over the oral comprehension questions together and read the book aloud with each of us reading alternating pages. We will then record the book(s) on a Reading Log. Sometimes I will have him read into a tape recorder so he can go back to listen and evaluate himself. His oral reading skills need work - not due to lack of ability but lack of willingness to slow down! He has no patience for oral reading because he can read silently so much faster. As a result, he mumbles as he tries to read as quickly as he possibly can. 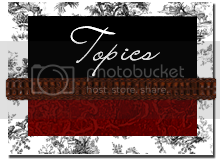 History: (drum roll please...) After much debating, I went with SOTW, and I am so excited I did. Once I found out that Volume 4 nor 5 of Mystery of History would be published when we got to that point, I knew it was not the program for us this cycle. I spent all day yesterday reading through the Activity Guide, looking at maps and thinking through how all of this would work. During all this I came to the realization that I am thrilled about history this year. Today I ordered the Ancient Egypt, Ancient Greece and Ancient China narration pages from History Scribe. Tomorrow I am going to decide whether or not to use the review cards in SOTW or purchase the ones from Veritas Press I have heard so much about on the WTM message boards. I also am still trying to decide which timeline is going to work best for us. 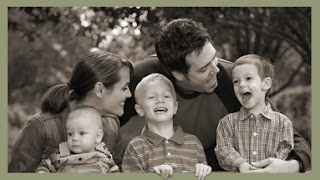 Homeschool in the Woods shows several beautiful examples on their website. I love the idea of a wall time-line but I am not sure I want to dedicate my only available wall to one subject - even if it is a really important one! BTW, I am also taking my AG to Office Depot to have the bindings cut off and the entire book three-hole punched and put in a binder. Like with math, this will make my life much easier. 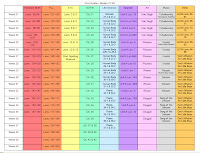 Science: I am using the Life Science plans that Jessica from Trivium Academy created with a few changes. I found videos on United Streaming to go along with each lesson and have created one copywork selection for each week as well. I am still not sure how much copywork we will be doing so I may or may not use these. I figured I wanted to have them, just in case. Art Appreciation: We will have an "Artist of the Month". The featured artist's picture will be displayed in our classroom along with some of his/her works. I purchased a set of six art postcards for all nine artists for only $1.25 each from Rainbow Resources! I also purchased a biography written by Mike Venezia from the Getting to Know the World's Greatest Artists series for all nine as well. I love this series because they each showcase lots of the artists' works, are fun yet very informative as well. I hope to get Sister Wendy's Story of Painting to help me (a complete art-phobe who cannot draw stick figures much less discern art techniques!) learn before I teach my son, too. The artists we will learn about this year are Kahlo, Rivera (both Mexican which was important to me for our heritage - my dad is Mexican - and the fact we will begin learning Spanish this year), Monet, Renoir, Rembrandt, Degas, Picasso, Van Gogh (my personal favorite) and Chagall. We are not yet studying the artists chronologically because I wanted a gentle introduction to art for both myself and Thatcher. More of a time to explore and dabble. In the logic stage our studies will get much more focused. Art Instruction: We will be using Mona Brooke's Drawing with Children and the lesson plans posted on Paula's Archives. As I mentioned, an artist I am not, so I will be learning right alongside Thatcher. I want to look into the Draw Squad materials for a later time. I have heard they have lots of "boy appeal" but for now I am happy to start here. I also plan to use some of the Art Tango videos from United Streaming to supplement. Music Appreciation: Similar to art, we will regularly feature a composer, put his picture in our schoolroom and read a biography from Mike Venezia's Getting to Know the World's Greatest Composers series. I also purchased the Classical Kids Vol. 1 and 2 set of CD's to listen to in the car and as we play. I cannot find anyone who had anything bad to say about these CD's. They were an investment but one I am sure we will enjoy for years to come. I still need to find a CD of simply the composers music at Half-Price books to listen to as well. I decided to only focus on the five composers featured in the Classical Kids CD's this year so we will be learning about Bach, Beethoven, Mozart, Handel and Tchaikovsky. With art and music I will supplement with lots of additional books from the library. Spanish: We will be using the Spanish lessons on United Streaming this year. For a little more than I was going to pay for a Spanish program I purchased a year's subscription to United Streaming where we will have access to literally thousands of videos for every subject under the sun. The Spanish lessons come with teacher lesson plans and worksheets as well. I will supplement with my own vocabulary review as well. These first few years my goal is to teach Thatcher as much vocabulary as possible as well as develop a love of the Spanish language and culture in him. If you are interested in learning more about United Streaming you can sign up for a free 30 day trial on their website. Other things to work in: I have both Mind Benders and Manners Made Easy. I love both of these items and definitely plan to incorporate them - just not exactly sure when or how yet. I think I will have a much better idea once we get started in a few weeks. This was one of those posts that if not a single person ever reads, it's okay. It helped me so much to type it all out. That's what I love about blogging: it forces me to get it all together for a possible audience. If you did hang in there and read it all, let me know. I would love to give you a cyber (((hug)))! Well, it was delivered last Thursday. 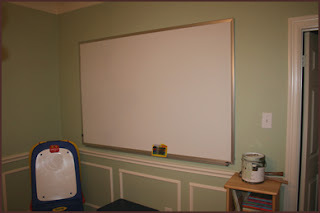 From the time we decided to homeschool I knew wanted it...a magnetic dry erase board. But the story of how I finally got one turned out to be great! We had been saving pennies for awhile, and last Monday it was time to go to the office supply store to make the big purchase. I knew exactly where it was and how much it was going to cost - two hundred and sixty-nine dollars plus tax. It was our one big purchase for this school year (other than curriculum, of course). This day when I walked to the back of the store it was priced at $209. Wooo-hoooo! I was going to save $60. How many more books could I buy with that money?! When I went to grab one of the "Take One" slips to carry to the register the pocket was empty. An employee said he would check the stockroom, but after not finding any he said he would place the order at the back computer - and waive the delivery fee for my trouble. Now I was really excited! When it came time to pay, he couldn't find the correct board in the system. He asked me the dimensions and found another the same size. This one was $345 though. I quickly let him know that was not an an option, and he replied it would be, "No problem." He would simply do a price-match. Right in front of my eyes he lowered the price to $209 but he couldn't get the computer to waive the delivery fee. "No problem," he again stated. He would put the price of the board at $189 and leave the delivery fee; I would pay the same in the end. After asking 900 times if he really could do this without losing his job he assured me repeatedly it was, "No problem." When he went to finalize the order the total came to only $202. We realized that after lowering the price the final time the computer had finally removed the delivery fee. I told him he needed to add $20 back to the price of the board but he said again...you guessed it, "No problem!" That's how I got a $345 ($393 when you add tax and delivery) dry erase board delivered to my front door for only $202! In another post I'll tell you all the things I plan on doing with my new toy!